Welcome to Day #6 of Chocolate and Dark Blends Theme Week. 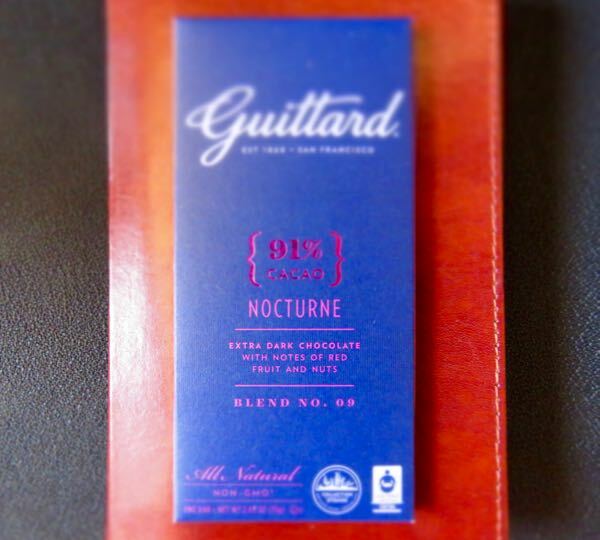 Today's Nocturne 91% bar (Blend No. 09) from Guittard (Burlingame, CA) was surprisingly smooth and pleasant for an ultra-high percentage bar. It was not bitter and had very subtle red fruit and nutty notes. The tasting notes describe the base extra dark chocolate as "elegant," and I think that fits. It wasn't brash or jarring. It had refined character. For those that think they don't like ultra-dark chocolate, you might give this one a try. This extra dark chocolate bar was a true citizen of the world. 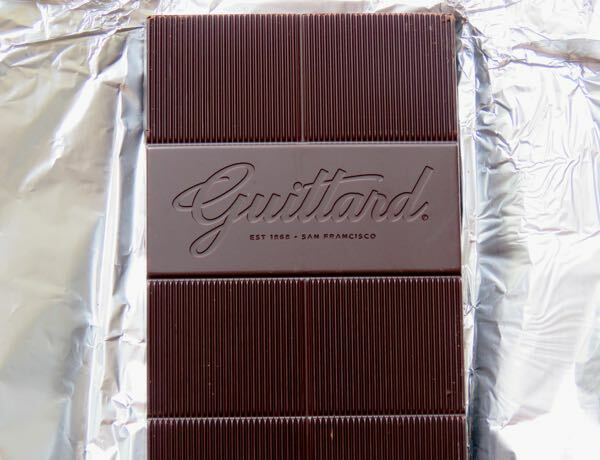 It was made of a "multi-bean blend" of cacao (beans) that had been grown in regions across the globe, including: Central America, South America, South Pacific, West Africa, Caribbean and Indian Ocean; and it contained all three of the major varieties of beans: Forastero, Trinitario and Criollo. 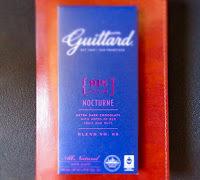 This Nocturne 91% bar was part of a line of chocolate bars from Guittard, that range from 45% cacao to 100% cacao blends.